Home » Blog » History » What Happens When Your Favorite Bourbon Brand Gets A New Owner? Bourbon brands often change hands. This isn’t something new to the spirits industry. 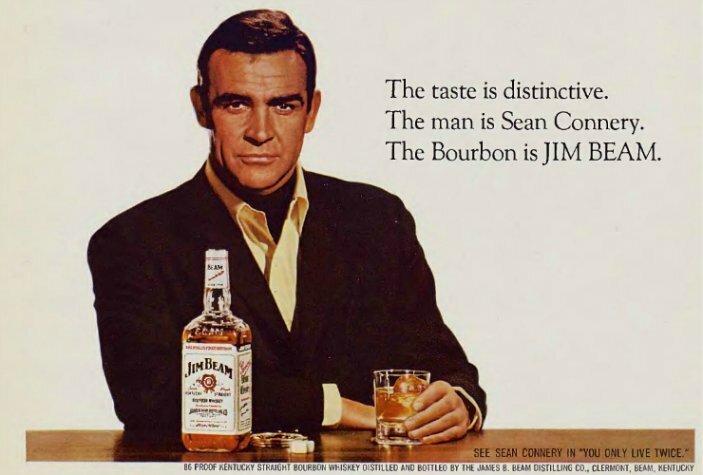 Classic mainstays like Jim Beam (Beam Family>American Tobacco>American Brands>Fortune Brands>Suntory>Beam Suntory), Maker’s Mark (Samuel’s Family>Hiram Walker & Sons>Allied Domecq>Fortune Brands>Beam Inc>Beam Suntory), and Four Roses (Paul Jones, Jr>Seagram>Pernod>Kirin) have been traded amongst parent companies since pre-prohibition. Bourbon brands were traded for a vodka brand, a gin, or rum. Strengthening a portfolio in a weak area by trading a brand they no longer need. “Shuffling the deck” as it were. This happened before prohibition, and especially after as the Bourbon industry grew up. It doesn’t always take an acquisition to cause a change in a well-known whiskey brand. WhistlePig began by sourcing rye whiskey from Canada while they built their own distillery and began aging their own whiskey stocks. The plan from the beginning was to be a distiller. Last month, March 2017, WhistlePig released Farmstock. Their latest rye whiskey and the first to use a blend containing whiskey they distilled themselves. While they’re still sourcing whiskey, from Canada and Indiana, they will move to using more and more of their own whiskey with each future release; up to a 100% estate whiskey. WhistlePig is getting ahead of these changes by being completely transparent on the Farmstock label. The back of each bottle states the origin, percentage, age and more about each whiskey in the blend. Instead of trying to match the flavor profile of past releases they are creating new products and showcasing the nuanced differences. This is a great approach, we hope more brands take notice and continue to become more transparent. I spoke with WhistlePig Midwest Brand Ambassador Taylor Hansen who had a few thoughts to share about WhistlePig’s strategy for the future. “We have sourced our 10-Year from Alberta since day 1, and our 12-Year from MGP. Now that our state-of-the-art Rye still is up and running and our grain fields producing, we had the choice to make of how we integrate these new flavors into our portfolio. The simple answer is, the distillers making our 10-Year / 15-Year / Boss Hog juice clearly did a damn fine job and with the level of business we do with them, we are immensely proud of their work. They produce WhistlePig to our specifications and we age appropriately with very calculated methods. We consider them an extension of ourselves and every bit as responsible for our success as any of our own in-house actions. Our relationship is symbiotic. Rather than cut that tie and replace the juice that IS WhistlePig with something new, we are not going to stop sourcing our 10 / 12. Rather, we released the FarmStock, our first non-age statement extension.” In my opinion this is a great way to tackle this challenge. The product consumers have come to know will not change. Instead, WhistlePig will showcase their own distillate in an exciting new way. Consumers may be a fan of the “original” stuff or may prefer the new estate whiskey. But, they’ll have their choice, and may even love them both. No matter who owns a bourbon brand, a huge company like Mitsubishi, parent company of Kirin which is the parent company of Four Roses, or a family owned craft distiller like Whiskey Acres, they are still bound by the laws protecting bourbon. Unlike other industries, when a Bourbon brand is purchased, the new owners can’t move production to China to save a buck. They must distill in America, from corn, on a copper still, and age in new charred oak for years. There’s no way around that if they want to continue selling bourbon. The process of distilling and aging Bourbon doesn’t leave a lot of room for drastic changes. But, that doesn’t mean brands can’t experiment. Buffalo Trace Distillery has long been known to experiment with various aging techniques. Including the Single Oak Project and more recently their use of 300 year old trees. WhistlePig uses Vermont Oak to age some of their rye. And many producers, including Woodford Reserve, Angel’s Envy, and WhistlePig experiment with finishing their whiskey in different types of barrels. Shuttering smaller family distilleries, like Stitzel-Weller, and moving production to different physical distilleries, like Buffalo Trace and Heaven Hill, does force change. The source of grains may change to match the larger company’s economies of scale. Barrel manufacturers may change. The type, design, and nuances of the still can change. Even the natural yeasts in the air and the temperatures and micro climates of the aging warehouses will be different. There are stories of distilleries actually recreating dents in a new still to match dents in their old still in an attempt to maintain consistency of the distillate. This is a huge consideration with brands like Angel’s Envy, WhistlePig, High West and others who have built a reputation around sourced whiskey. Consumers know the flavor profile of these brands. Now each one has built their own distillery and begun distilling their own whiskey. The finished product will undoubtedly change but will it be a nuanced difference? A drastic change in flavor profile? Will consumers prefer it to the sourced whiskey they’ve come to recognize under that label? Or will these brands loose part of the loyal following that helped build them? It will be at least a few years before we have answers to those questions. After all, bourbon takes time no matter who’s making it. So while the bourbon will continue to be bourbon, it likely won’t be the same exact bourbon you’ve come to know. It may fall out of favor, but, it may get even better. The same master distillers and pioneers who built brands such as Maker’s Mark and Angel’s Envy, haven’t simply faded into bourbon history. They’ve started their own brands, once again looking to find a foothold in an ever-changing industry. And the cycle continues. I recently sat down with Marc Bushala, Chicago resident and President & CEO of Liquid Asset Brands. Marc’s company finds and invests in spirits brands looking to grow and make their mark. They recently launched “Stolen Whiskey” to the US market and are opening a new distillery in Chicago later this year. Reid Mitenbuler’s book, Bourbon Empire, inspired me to write this post. The book is an excellent deep dive into Bourbon’s history but also America’s history. If you’re interested in learning more about Bourbon I highly recommend picking up Reid’s book. In his book, Reid says that it is what’s behind the label that counts. And I share a sentiment with him that while “Local Craft Bourbon” is enjoying a renaissance; those words only goes so far if a distiller is producing subpar bourbon. I believe that this Bourbon boom we’re enjoying has a LOT more time to show us what it can do. Eventually, when the craft spirits market reaches critical mass, the distillers making great whiskey will either have been bought by the big guys or held out as an independent distiller. But the ones making anything less than a great product will be left out in the cold. And that my friends will be a great time to buy a used still! Next post WhiskyFest Chicago 2017 Recap!